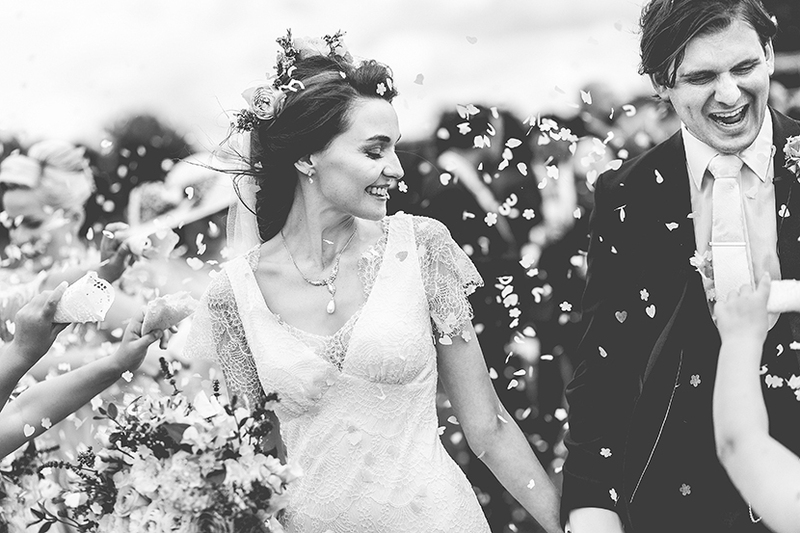 The confetti shot is one of the most iconic images in the world of wedding photography. 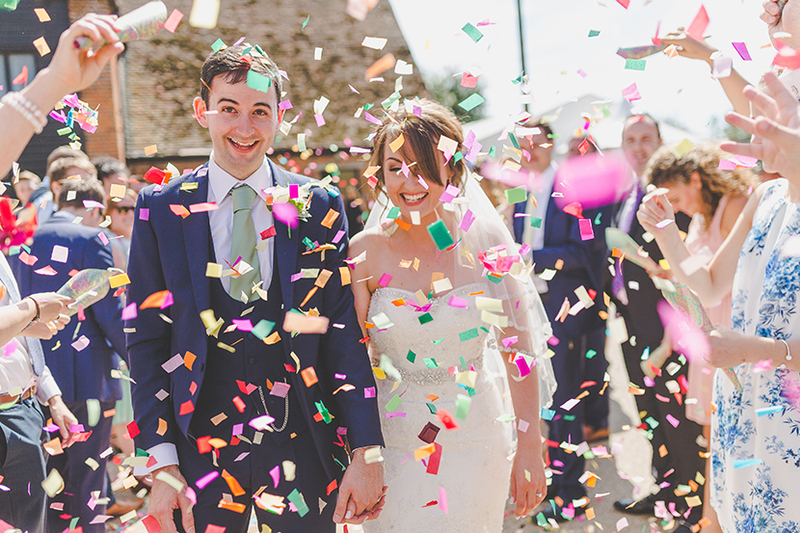 No matter what a photographers style, the confetti photo is one staple and one tradition that has stood the test of time. Photographers and couples alike love it. The candid, natural reactions, fun and general silliness of it all make not only for great photos but great images too. For some couples a confetti shot is literally all they ask us for- wanting everything else to run completely as is. And we can understand why. I’m actually pretty gutted that we forgot to do our confetti shot at our own wedding. As much as a confetti photo is a very natural part of the day though, there are definitely some tips and advice that we like to share with our couples to help them get the “wow” photos that they have in mind. 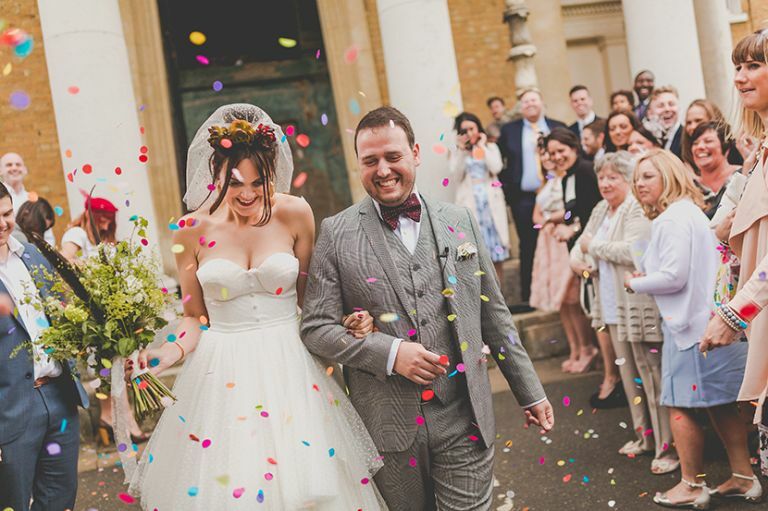 Below we are going to share with you some of our suggestions on how to achieve the best confetti shot possible. Make sure you have enough of it. Sounds obvious doesn’t it, but you’d be surprised how easy it is to underestimate how much confetti you’ll need. Lots of couples bank on their guests bringing their own, which is quite rare these days to be honest! As such, if you don’t plan ahead and provide your own, you may well end up with 80 guests with just a couple of boxes to go around. A sparse confetti photo isn’t what couples often have in mind when they plan a confetti shot. 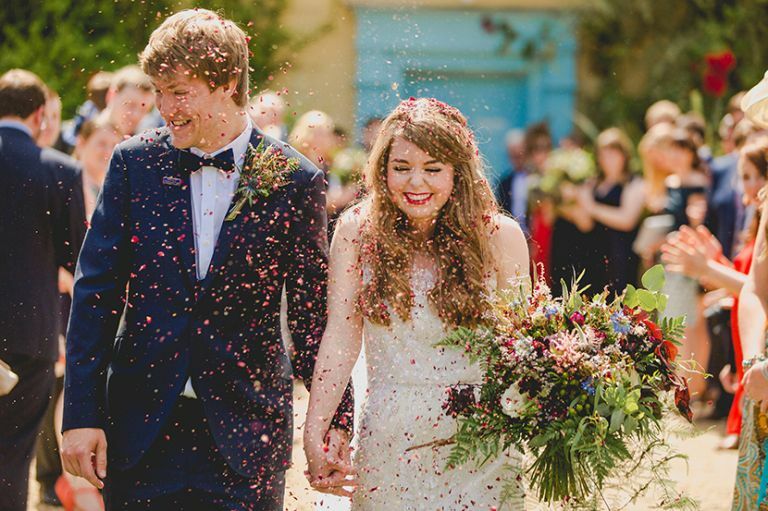 We know that confetti can be expensive though, especially if it needs to be real petals at your venue. In this case, it’s better to have a smaller confetti shot with a smaller number of guests than to try and include everyone. Perhaps plan to have your photo with just the wedding party instead of all guests. It’s a natural reaction to recoil a little when someones throwing stuff at you, but try not to be scared of it. Go with it, laugh energetically, wince, catch some in your mouth if you like. But whatever you do, don’t be scared of it. The art of a good confetti photo is not bombing it from one end of the tunnel to the other. Walk slowly, look around, hold your head up. It’ll give you time to make eye contact with people and you’ll find yourself smiling and enjoying it. You’ll get a nice cloud of confetti the whole way down and your photographer will have ample opportunity to get a few keepers! Not only are rice/seeds/pods much harder (and therefore more painful when they’re launched at you) they also look a lot harsher in photos too. They don’t separate as well, and tend to travel as a bunch- which means they can look like little swarms of insects! Ideally, nice big fresh petals or biodegradable paper confetti works best as they fly and separate individually. Dried petals can be good too, but again depending on the variety they can be much smaller and can have a harsher look. 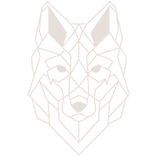 « How many weddings do you shoot each year?